KATHMANDU, Oct 23: Sajha Yatayat has introduced the electric buses in the Kathmandu Valley on Tuesday. 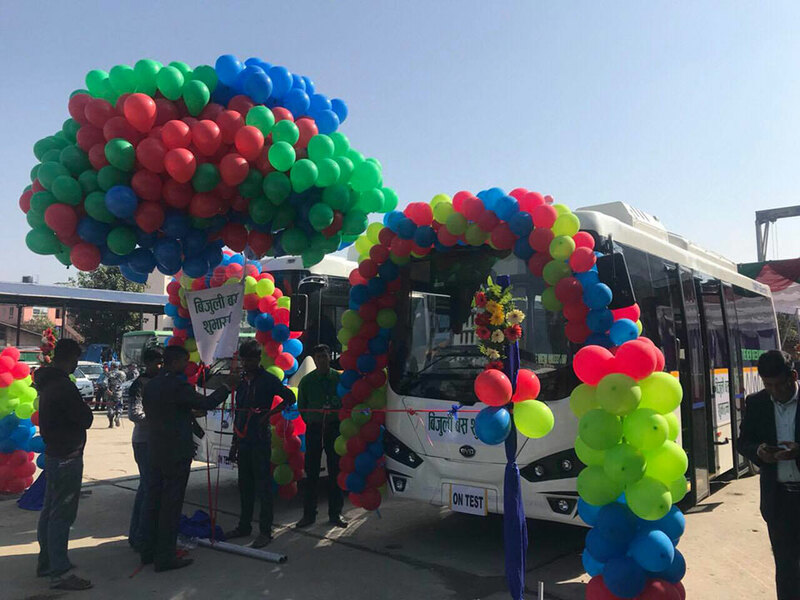 Amid a function, Prime Minister KP Sharma Oli launched the first electric bus in Lalitpur Tuesday morning. 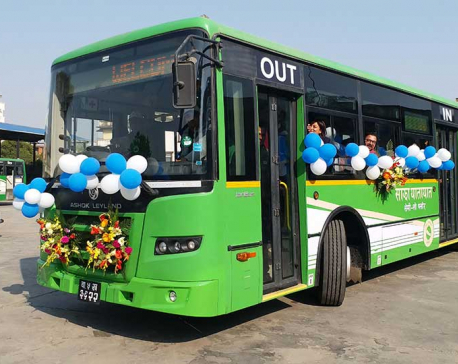 This is the first time the electric bus has come into operation on the roads of the Kathmandu Valley. Oli returned to the Prime Minister's Office at Singhdurbar from Pulchok in the newly launched electric bus. The buses were developed by Chinese Company BYD.